The view from my local cafe before I went in to camp for my shift. The night started off with a Pakistani couple looking for part of their family. When they arrived on the boat to the stage one camp, their brother, brother's wife and niece were taken to the medical tent while the rest of the family (7 people, 5 adults and two children) were put on the bus to Moria to be registered. Our clinic is one of a few clinics on site so they came here because they thought the three missing family members were brought here. They weren't here but we were hesitant to turn them away with no information, especially since I was able to communicate with them in Urdu. We had them write down names of the missing family members, their ages and their own information and Nurse Nick took charge and started calling around to hospitals and clinics to see it we could find them--no luck. Either we were unable to get in touch with the facility or they weren't there. Hmm. One thing that's really struck me with the volunteers here is that they see things through and don't turn people away. With so much need and limited resources, it would be easy to hand someone off or tell them we can't help. But these refugees who are here have been told that for days, weeks, months sometimes. They haven't had any support and have had to fight tooth and nail to get here. How can you say no to that? You literally want to do whatever you can before you say no. Whatever you can. It might not be as fast as you and the person you are helping would want, but it's better than the alternative. We had no luck tracking down the family through calling other clinics and hospitals, so what were we supposed to do? You do things the old fashioned way—you ask around. We walked around the camp, asking other clinics and agencies if they had seen the names we had listed on our sheet, and one of them had! In fact, they were looking for the Pakistani couple for a while to try to reunite the family. Woohoo! I could nearly contain my excitement as we headed back to the clinic to get them and bring them back. I went back to our clinic to get the couple, gather the rest of their family and walk them to the building where they were paging them when I came across another group. This was a group of men who were missing a 13-year-old boy who was traveling with them, one of the men's nephews. The boy had gotten separated from his uncle during their transport to the camp and was ultimately missing in action in his group's eyes. Add in the language barrier, and you can sense what a stressful scenario that could be. My years of Bollywood obsession paid off as I was able to communicate with both Urdu speaking groups and explain to the English speaking organization what was going on. After figuring out next steps with the wonderful, helpful man and being reassured that the organization was doing their best, I left the families in good hands and made it back to the clinic with a contact phone number to follow up with. "Hi Sejal, both cases are progressing. The family with her niece in hospital was sent to a family camp who will reestablish contact between the two parts of the family. 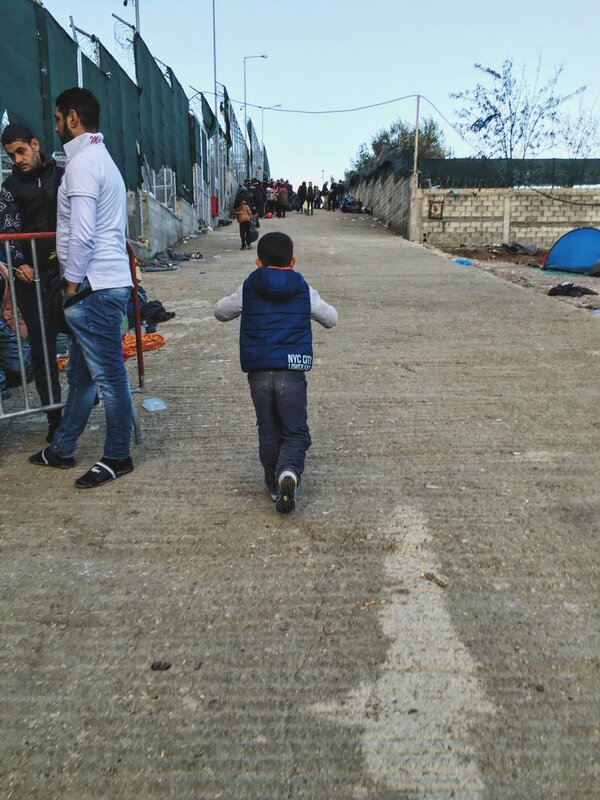 In the other case, the missing boy was found in the accommodation for unaccompanied minors. We need to discuss his release tomorrow morning once head of department is back, because he is not with nuclear family. I hope that helps for the moment. Best, N."
The families weren't completely reunited, yet, but they were on their way and I had helped make that happen.